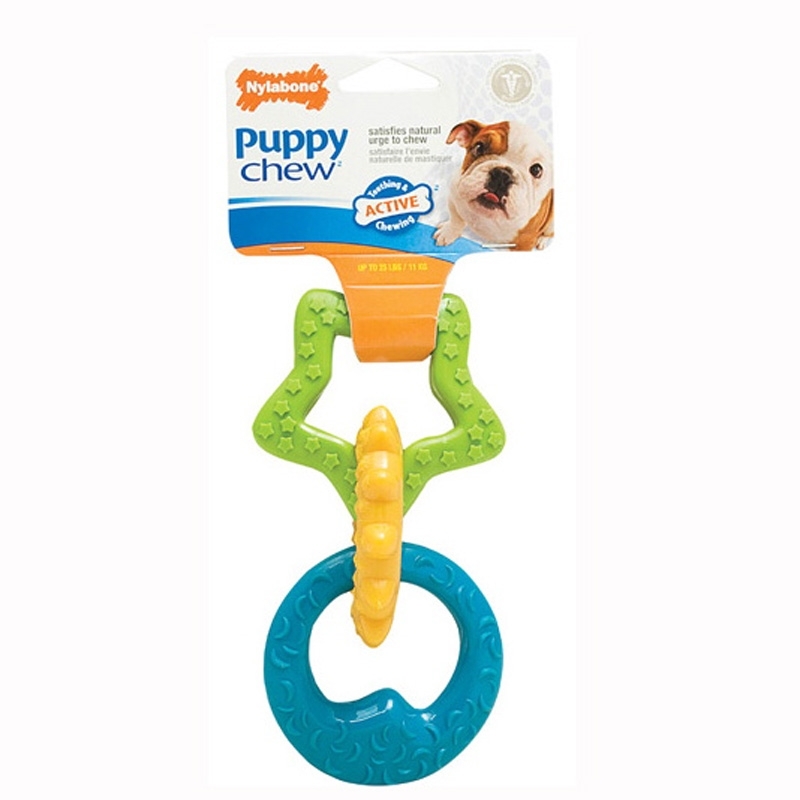 Puppy Chew Teething Rings are made from durable interlocking nylon rings to satisfy the chewing instinct of powerful puppy chewers, and encourage non-destructive chewing. Bristles raised during chewing will help clean teeth and prevent tartar build up. 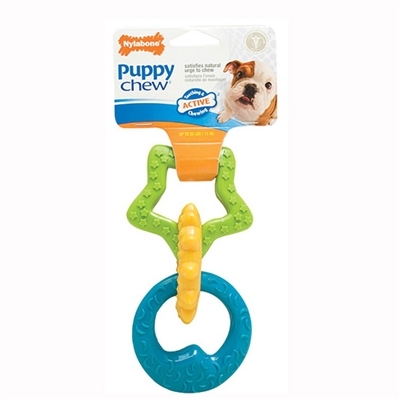 Designed for powerful chewers and puppies with adult teeth. Up to 25 lbs. Please supervise pets when playing with toys as no toy is completely indestructible.